HomeLet, part of the Barbon Insurance Group, has been supplying insurance solutions to the UK’s private rented sector for over 25 years. Based in Lincoln, HomeLet employs over 300 staff throughout the two-storey office building, and has been listed in the Times Top 100 companies to work for in 2018 and 2019, demonstrating the focus that the company has on providing the optimum working environment for its employees. 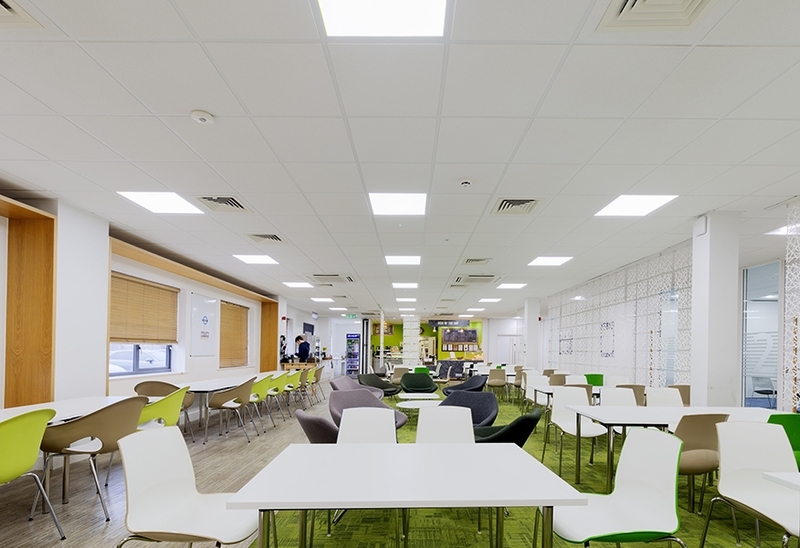 In a continued effort to offer a comfortable workspace for staff, as well as significantly reducing energy consumption, HomeLet looked to upgrade the lighting system throughout the site, choosing the Tamlite Lighting solution for the offices, canteen, communal spaces and break out areas. Employers need to attract and retain talent, and employees are becoming more discerning about the types of places they want to work, which is why HomeLet puts such emphasis on wellbeing, resulting in the Times Award. Shadowing on desks and screens previously made it difficult for people to focus, leading to eye strain, whilst flicker from fittings caused severe discomfort and headaches among staff. 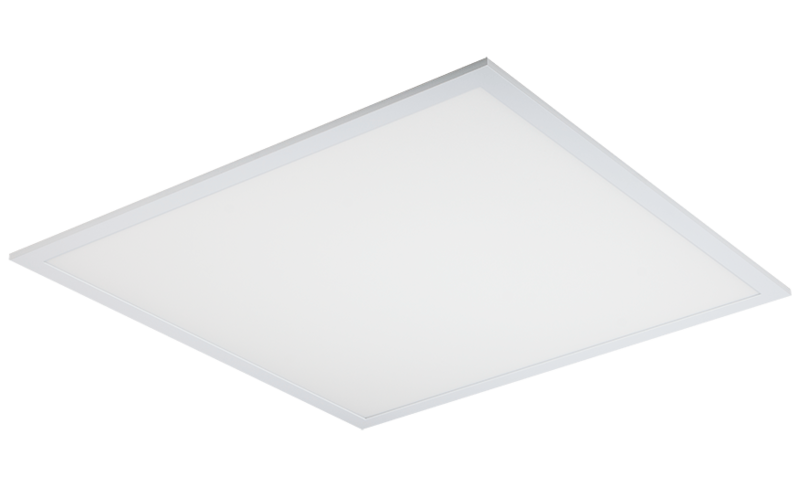 Tamlite delivered a uniform lighting solution to HomeLet that significantly reduced eye strain, and the minimal flicker greatly decreased discomfort among staff. 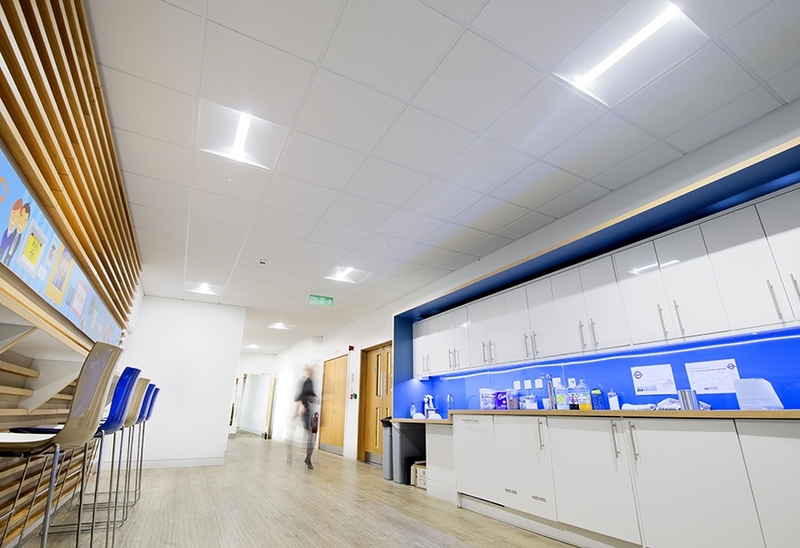 Tamlite delivered 5000K modules for the office, providing bright, crisp illumination, to create a productive working environment for staff, as well as a welcoming environment for visitors. 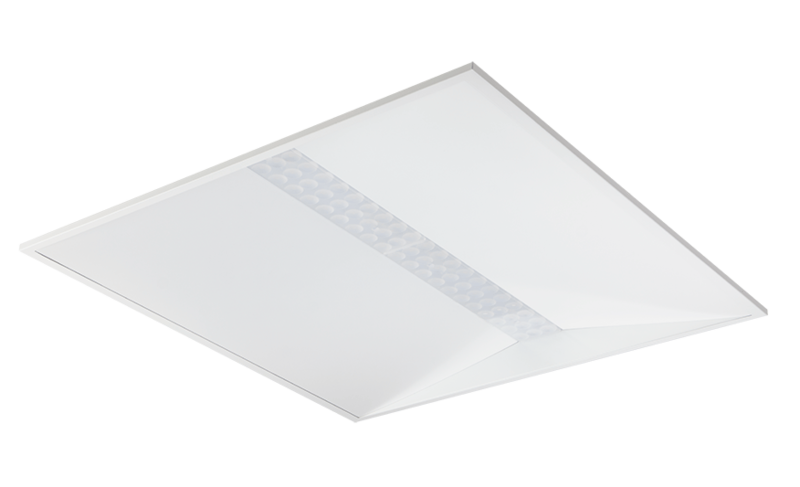 Another key consideration for HomeLet when choosing the Tamlite lighting solution was energy efficiency. 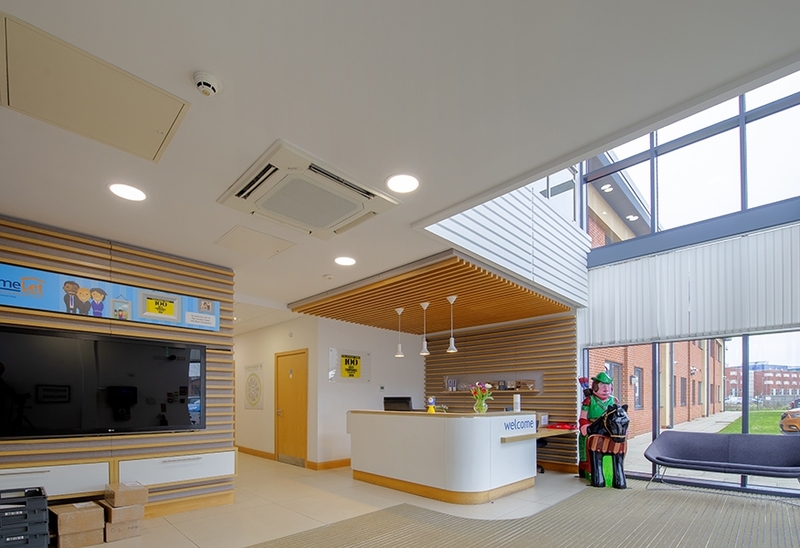 Having undergone an ESOS audit, HomeLet was recommended to upgrade the previous obsolete fittings to LED. 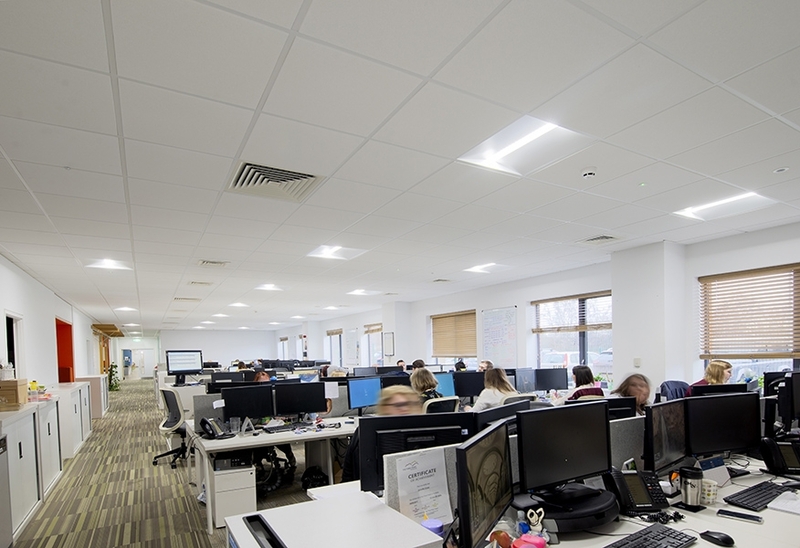 This reduction in power usage, along with the removal of over 100 fittings in comparison to the previous lighting design, has led to energy savings of over 70% for HomeLet. This saves around £850 per month, and will see a ROI in under 5 years. PIR sensors have been installed throughout the building, in the communal areas, stairwells and in the offices themselves. 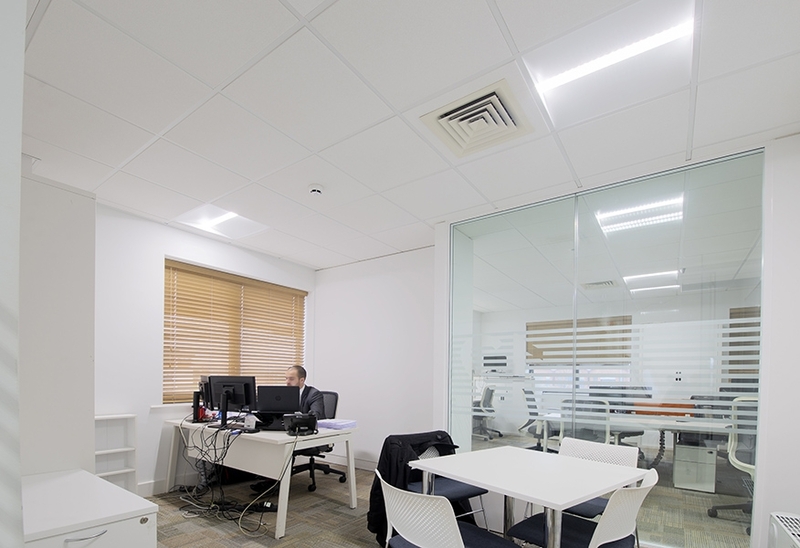 The office is controlled in zones, to ensure that the light is only used when required, further reducing energy consumption. 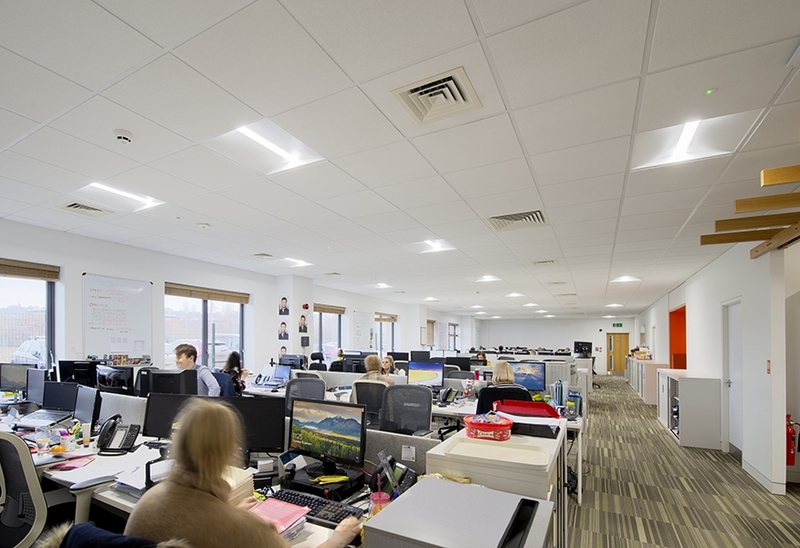 The lighting installation took 5 weeks to deliver, with no disruption to operation in the office. HomeLet were impressed with how the Tamlite sales team worked alongside the supply chain with CEF and Lincliff Task electrical contractors. All Tamlite Sales Engineers are LIA certified, and our Lighting Design team have 100 combined years of experience in designing lighting schemes. 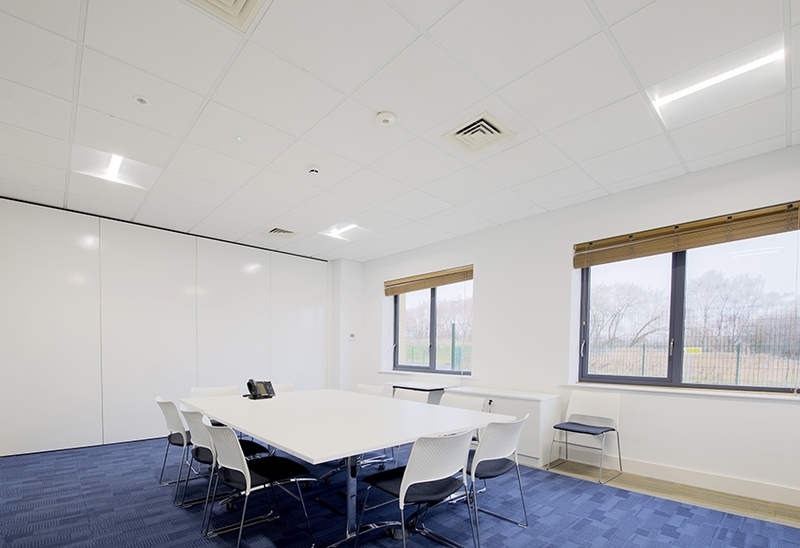 As members of RELUX, they are able to design bespoke project solutions. 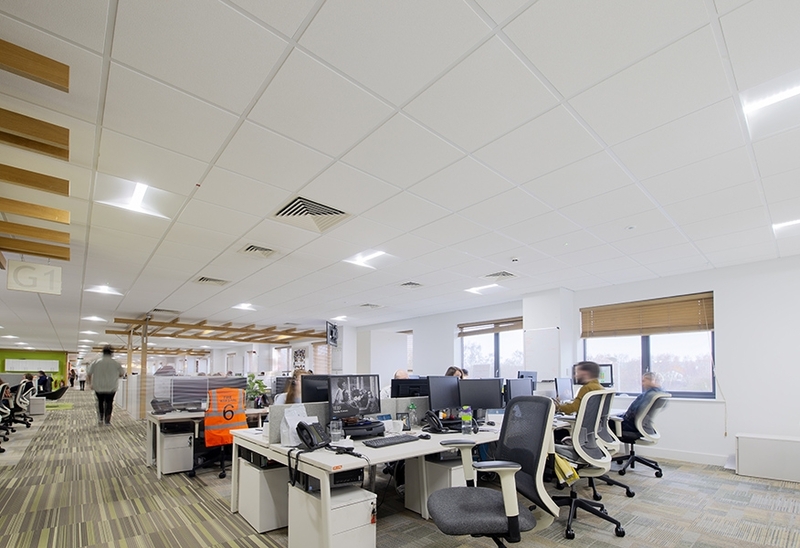 If you have specific lighting requirements in your office facility, see how our Technical Lighting Team can help you, for more information click here.